Viewing Topic: Wire colours - someone with RAVE please help ! Viewing Topic: Clutch bite point high, not mechanical. 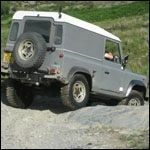 Viewing Topic: TDV8 Into a 100"defender.